I'm a happy owner of Dyson Ball Animal 2. Happy as vacuuming for the first time showed my how awful my old cleaner was. I had Hoover Capture Pets and it must've been really rubbish. The cleaner picks up a lot of dirt even though I do the vacuuming every two days. I've never had an upright before so it's kinda awkward to use it while vacuuming sofa or stairs. Especially when the cleaner moves everywhere and falls very easily. But it's light and not very loud. Although I already got few problems with it. It gets dusty behind the bin. I also washed the filter inside cyclone twice and it really smells. Has anybody had this problem before? Any of you guys has this model? Or do you prefer older models? You have a very good vacuum there. I had a light ball (similar to yours) in 2018 and it was fantastic! the performance was outstanding, only we have a DC55 now since it's a bigger machine. Me personally, I prefer both older Dysons and newer Dysons. Older Dysons are nice and simple designs. They aren't as soophisticated as the new Dysons are but were nice machines. The dust behind the bin is due to static, not due to any leaky seals, especially since your machine is new- all Dysons do this I'm afraid or any plastic vacuum even possibly. Once again and vacuumed the whole house with my old Miele S8310. Then just to see again, I vacuumed bedroom carpet with Dyson. It picked up plenty of something that looks like fine dust. Where does it come from? I just really don't get why 2200W leaves some dirt behind. Do you guys think that Miele's turbo brush would help with it? Although I vacuumed stairs with Dyson after vacuuming with Miele the other day, and it also picked up some dirt. A few things to note, wattage doesn't necessarily reflect dust pickup. There are a lot of factors that influence cleaning ability. Motor power is one, but so is air pathway design, filtration system, floor head design, brushbar design or inclusion, carpet type, dust/dirt type....and so on. I would bet that the reason your old miele leaves some dust is the lack of a rotating brushbar. Brushbars are really really helpful when cleaning carpets, the agitation they provide really helps with separating the fibres, scooping out dirt and loosening it so the airflow can take it away. The ball animal 2 has a good brushbar with a good floorhead design, so it isn't surprising to me. Not sure if a turbo brush would help to be honest, in my experience they are good for helping to remove clinging surface litter like threads and hairs, but don't aid deep cleaning much. In the U.S we get cylinders with motorized heads which clean really well, easily on par with uprights. I don't think they are easily available over there sadly. 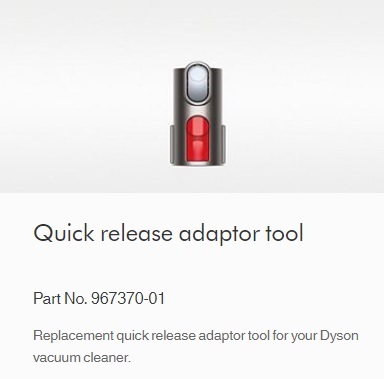 I can also read that this Dyson leaks dust back into the room as apparently its airflow isn't closed. Have you guys heard anything about it? And it doesn't seem to be locked tightly. It whistles when i move it. Do you think that it's normal or did I just got some faulty adapter ? Did you buy a genuine or a copy one? Are you using it with genuine or copy tools? Either way a little bit of whistling shouldn’t make much difference. Well, now I know what people mean by cloud of dust while emptying. Dust gets everywhere, around cyclones, seals, bin etc. But it's going to happen with every bagless cleaner, right? I emptied my bin as it was getting close to MAX line and plenty of dust came out of cyclones after tapping. It kinda bothers me as I don't want to spend 10 minutes on tapping the bin to clean it to keep the suction strong, but this is what I need to do to keep the suction strong, right?